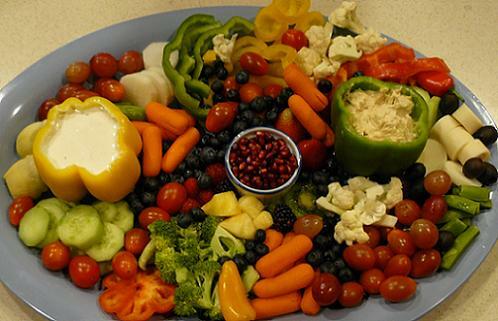 Produce Trays are easy to make at home like professional Caterers do, to make your Holiday Meals and Events healthy! These will typically be the highlight of your Holiday Entertaining! A great Produce Tray filled with lots of seasonal fruits and vegetables and home made dips, will go a long way! I always have to laugh, because for every family party that I've ever attended over the years, I've never been allowed to bring anything except for a Produce Tray. I've sort of given up even asking what I can bring to all our Potluck affairs, because the answer is always the same......"Bring a Produce Tray". I picked up a bunch of big plastic serving trays from Target years ago, and I use them all the time. I also got a bunch of plain white platters and small bowls from Bed, Bath, and Beyond, that are really elegant and go with anything. Shop the day before your event, to make sure you have fresh produce (I buy everything I can Organic for health reasons!). That way, you can just throw everything together the day of the event. The big secret, is to just not put the same colors next to each other if you can help it. Strawberries and Red Cherry Tomatoes need something a different color in between them etc. Small items like the pomegranate seeds that I used which are awesome for Christmas platters, get lost on the plate, if they are not in a small bowl, but these work great for a centerpiece. It helps to have some things in small bowls around the plate to work around. Blueberries, and olives are great to just randomly throw around the tray. Olives are a must for any Thanksgiving or Christmas Trays! 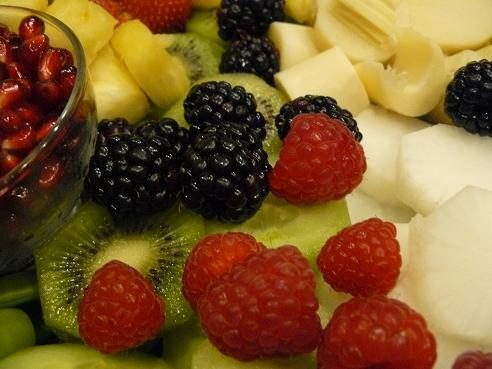 Often, I will mix things up and throw in some crackers and cheese along with the fruits and vegetables like I did below using Pita crackers and whole grain crackers. Throw in Some Cheese and Crackers! I brought the tray above, to our Christmas Eve celebration in 2012. We do Christmas Eve at my brothers house, so his wife's family and some of our friends can attend. Our latest deal, is everyone is supposed to bring an Appetizer and a Dessert to share. 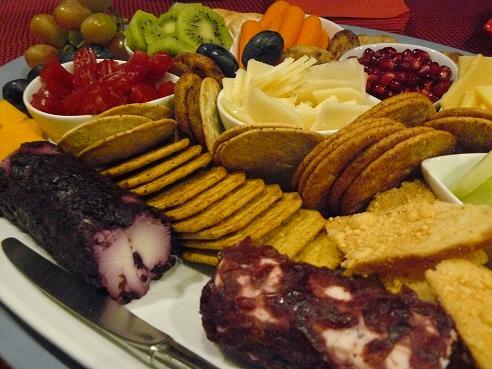 Because a lot of the great summer fruits are limited over Christmas, I decided to do some fruits, vegetables, and add some different types of cheese and crackers to my tray. I threw my dessert contribution on the tray, which was some Australian Red Licorice from Trader Joe's. Every tray that I make is different because of what I find seasonally, and my budget at the time! I've made smaller trays for $20, and I've made expensive ones where I buy lots of different things, and have tons of leftovers that have cost around $100. I usually try to keep them around $40 which still gives me plenty of leftovers. Trays that I make in the summertime are loaded with Watermelons, Cantelope, Grapes, Strawberries, Raspberries, as well as seasonal vegetables. I try to hit up my local farmers market if I know I have an event coming up. Trays that I make in winter, typically have more vegetables than fruits. Sliced oranges work great for winter trays. You can always find canned olives (essential for Thanksgiving and Christmas Trays), canned artichoke hearts and canned heart of palm (similar in taste to artichoke hearts). These are all great on trays and simple - open cans, drain any juice, and dump out where you need them to be. With olives, I put a pile of them somewhere on the tray, and then throw some around the platter. I usually check my refrigerator before I go shopping to see what I have on hand that is still good to use, so I don't have to buy things I already have. Some things are hard to find ripe, so if you know that you want to use them, buy them in advance so they are perfect when you need them. I love using Kiwi Fruit because it is so pretty, but it can be hard to find them ready to eat. Bananas and avocado's are also sometimes hard to find ripe and ready to eat, so I try to buy these in advance too. You'll pay more for produce ready to eat, but if time is short, you can buy lots of ready to eat fruits and veggies. I can typically knock out a great looking tray in about 15 minutes, if I don't have to do a lot of chopping. When I need to save money, I'll buy everything fresh, and prepare myself, instead of buying the ready to eat packs, except for organic baby carrots which are super easy! It takes a few minutes more to chop things up, but it can save some money, which is always great! My favorite dip to go with fruit, is just a mixture of half yogurt, and half cool whip. Choose your favorite flavor of yogurt, or choose a yogurt flavor to represent the Holiday, and stir together until blended with the cool whip. Example would be - Key Lime green yogurt, and Cool Whip for a green colored dip for St. Patrick's Day, where I would try to use mostly green fruits and vegetables on the platter. For a Halloween produce tray, I'd look for some orange colored yogurt....maybe a Peach flavor, and use as many orange colored fruits and vegetables as I could find, and maybe shape them looking like a pumpkin. My favorite flavors of yogurt to use, are strawberry and raspberry yogurt, and those are perfect for Valentines Day, and Christmas trays. To find a great list of Seasonal Produce, check out Kerry's Produce Tips page on her Healthy Diet Habits website. I try to do things a little different for some of the Holidays. 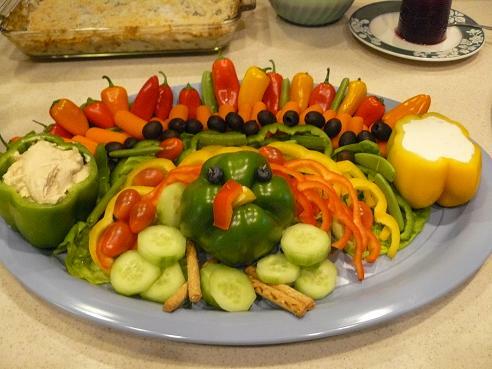 Below was my first attempt at a Veggie Turkey tray for Thanksgiving. It turned out OK, but it fell apart a bit at the end when I moved it. I was rushing to get some pictures, and everyone was starving, so I didn't take the time to fix the legs. The cucumbers were supposed to be all the way around the head, with the pretzel sticks sticking out for the feet. My next attempt will be better! I've seem a ton of different variations on making Christmas Trees for Christmas. I tried just using vegetables, with a little fruit, on my first attempt. 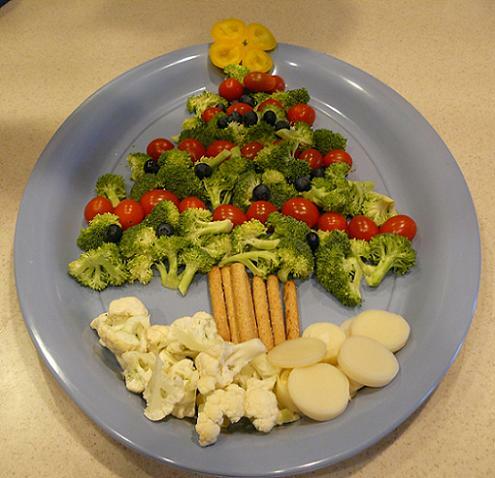 I used broccoli, cherry tomatoes, blueberries for ornaments, and the end of a yellow bell pepper for the star. The tree trunk was made with whole wheat stick pretzels, (my Trader Joe's must have snack!! ), and I put some cauliflower, and heart of palm at the bottom of the tree. 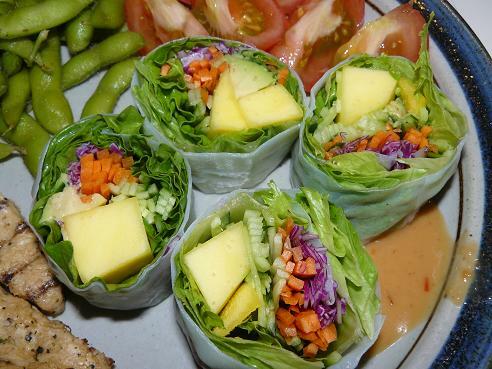 You can customize this, with veggies that you love. I saw a version of this with a combination of cheeses and vegetables that was great too! And on Pinterest, I've seen the vertical fruit trees, which I may attempt this upcoming Christmas! 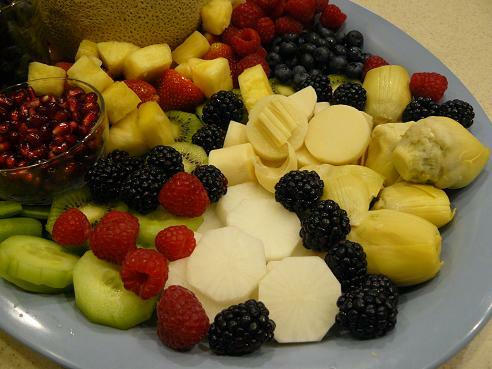 Please Follow our Holidays and Observances Fruit Board on Pinterest for some great ideas on arranging your produce trays - below you will see our 30 most recent pins to this photo board! Click on the SEE ON PINTEREST bar right above, (link will take you to Pinterest) to see all the rest of our photo's on this board, and to Follow the board. New photos will be constantly added! Because the Super Bowl is typically a mine field of Snacks and Junk, it is one of the big Events where it is great to have a Produce Tray!